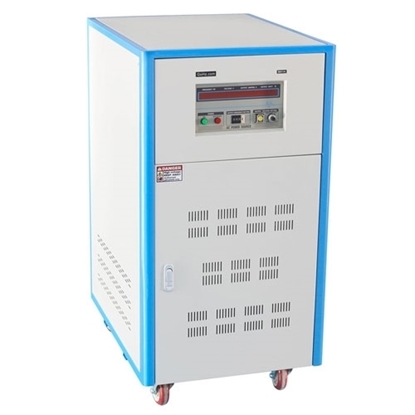 20 kVA pure sine wave frequency converter, changing 230V 50Hz to 110V 60Hz, or 120V 60Hz to 240V 50Hz, voltage and frequency converter for Europe and US home appliances. The impedance of small-size contactor is very small. Under the premise of ignoring impedance voltage drop, the electromotive force is in direct proportion. When the frequency turns from 50Hz to 60Hz, the induced electromotive force increases to 1.2 times, so the corresponding control voltage shall be increased to 1.2 times. In order to satisfy the suction requirement, it is required to increase the control voltage. Otherwise, insufficient suction will result in the bounce and bad contact of the relay, thus eventually causing damage.